Forged stainless steel material (never rust). Provides easy and convenient operation. Specially designed delicate tip end. Suitable for planting small or thin plants. 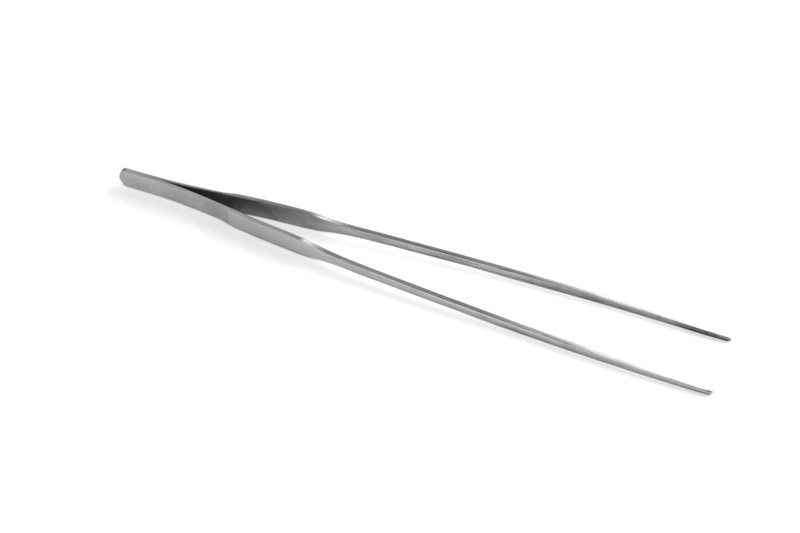 These stainless steel tweezers make planting in your aquarium easy and effortless. Using these tweezers you remove any worry about damaging or dislodging other plants. You can also plant into those hard to reach spaces to make your aquarium look entirely natural. Mega delicious tongs... !!! Why pay dearly for an expensive brand !!! Mega delicious tongs... !!! Why pay dearly for an expensive brand !!! As described - 27cm tweezers, highly recommend for planting, makes things much easier! As described - 27cm tweezers, highly recommend for planting, makes things much easier! These certainly make life easy when planting out the aquarium. So much easier than doing it by hand. These certainly make life easy when planting out the aquarium. So much easier than doing it by hand. Good quality stuff. Indispensable tools when it comes to planting your aquarium. Good quality stuff. Indispensable tools when it comes to planting your aquarium. Yup, they work well, much better than risking the roots using fingers. Yup, they work well, much better than risking the roots using fingers.